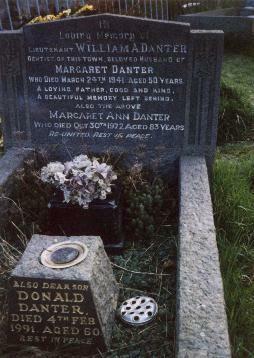 The grave of William A. Danter who married my Grandfathers sister Margaret. William was a Second Lieutenant, Royal Artillery and died on 24th March 1941. Born in 1891, he was a dentist pre-war, and also a fairground owner. His family still run a fair today near Gloucester! 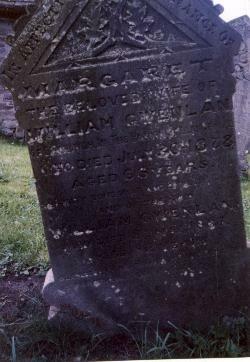 This is the grave of William & Margaret Gwenlan in St. Peters, Llanbedr, Brecon. Willaim was born in 1805, and died on 8th May 1887. Margaret was born in 1812, and died on 30th July 1878. Their family details can be found on my census pages.